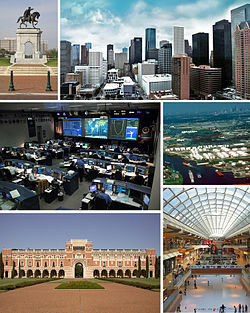 ↑ 1.0 1.1 "Houston city, Texas, US Census". US Census. Retrieved 2010-01-02. ↑ "Texas by Place - GCT-T1-R. Census". US Census. Retrieved 2010-01-03. ↑ "Table of United States Metropolitan Statistical Areas".